Coleman Anderson Architect and Associate Director, Tony Trifiletti has maintained a rich and diverse international architectural career, developing an extensive knowledge on the design and construction of buildings ranging from small scale residential, commercial and mixed-use projects to supertall skyscrapers around the globe. After graduating from the University of Kent in 2000, Tony started his career in the London offices of Skidmore Owings & Merrill, LLP. During his time at SOM, Tony joined the firms Chicago office to work on the Design and Construction Documentation for London’s Broadgate Tower & 201 Bishopsgate, (Best Tall Building Europe 2009) before returning to serve as resident site Architect for the project throughout its construction to completion and tenant occupancy. Following Tony's time with SOM, Tony spent 3 years within the Chicago offices of Adrian Smith + Gordon Gill Architecture, which included a 3 year term in Dubai as the firm's Middle Eastern representative for projects in the region including, the Masdar Headquarters building in Abu Dhabi, The Kingdom Tower in Jeddah, and the Burj Khalifa Gatehouses in Dubai. Most recently Tony worked as a Project Architect at Adamson Associates International where he held the position of resident Architect for The Shard in London, providing technical support and guidance to the Shard construction and facilities management teams and Architectural services for design enhancement projects within and around the Shard and London Bridge Quarter. Alongside Tony’s role at The Shard, Tony also collaborated closely with Renzo Piano Building Workshop as Executive Architect for the Shard Place residential tower development next to the Shard. 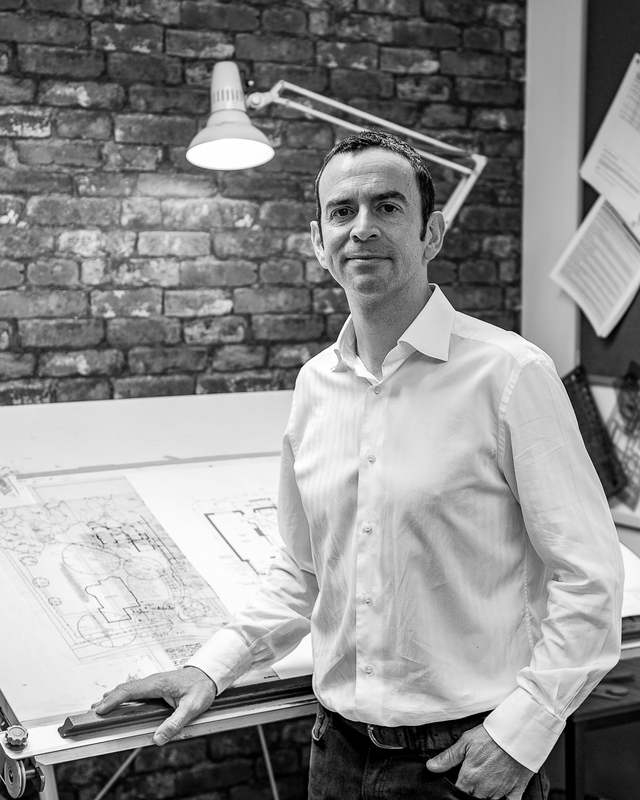 With a strong passion for exterior facade design, construction detailing and freehand drawing, Tony's foundation remains deeply routed in his ambition to specialise in enriching peoples lives through the creation of carefully considered and beautifully detailed buildings. Refurbishment and extension to an existing dilapidated building to offer premium office space to the area. Feasibility Study for a new Eco friendly Yoga Retreat to include pre-fabricated pod accommodation and main Yoga building containing a Studio, kitchen and dining accommodation. Bespoke outbuilding to include ageneral living space, wet room and storage facility, with solid oak frontage detailed to offer a timeless design. A two-storey side extension, single-storey rear extension to include open plan kitchen / dining space and overall home re-modelling, recently awarded planning approval. Full renovation of an existing bungalow set within a sloped site, to create a two-storey contemporary dwelling with a carefully considered use of natural materials to respond to the site’s green context. Delivery of Post Completion enhancement projects within and around The Shard & London Bridge Quarter. Architectural technical support to The Shard construction team and facilities management team. Tenant Fit-Out submission review, approval and inspections of completed fit-out works. Exterior Wall Construction Documents, Facade Consultant Liaison and Manufacturer Drawing Review.